When I saw these on Pinterest I knew that I had to make them. The original recipe can be found here. My 3 year old son really enjoyed snacking on these. Cut the mini marshmallows in half. Melt the almond bark according to the directions on the package. Dip each of the pretzels halfway into the melted almond bark. Next dip each pretzel into the red sugar until only a small amount of the white chocolate is showing. 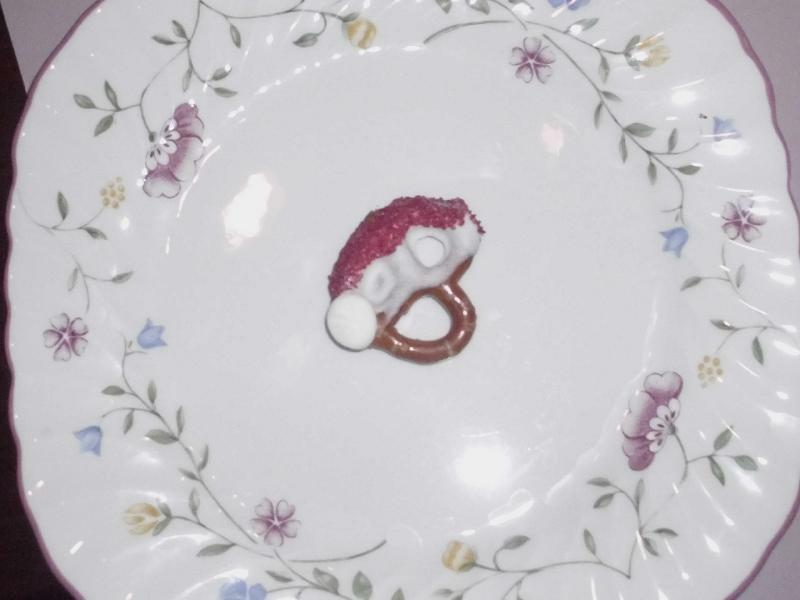 Use the melted almond bark to attach the mini marshallow half onto the side of each pretzel. Allow time for the melted almond bark to set.